That’s right! To say thank you for being so patient with my during this insane, freezing cold move, I’m letting YOU PICK! 3) The Mel Files Volume 2 – She’s back!! I love all these characters and I love you! Let me know your favorites! Posted on March 16, 2018 Categories authorTags author, book, moving, thank you, writingLeave a comment on You are in CHARGE! Don’t fear though, Olie, Logan and their band of merry misfits will be back in a minor role in my next series: The Guardian Executioner. Get your amazon copy HERE! The standalone romance is finished! Well, I was better at pretending I was normal. The current events at C&B Investigations has firmly clarified that I no longer fit into that category. My marriage is on the rocks. My boss keeps trying to get into my pants, and my nightmare of a mother has shown back up. Did I mention someone shot at me? That’s just rude. Pick up your Amazon copy here. The stand alone is finished and with the editor. Thanks to some awesome insomnia at 2am I have a title: The Mel Files. I don’t plan on it becoming a series at this time. Tonight I will start back on finishing book 5, The Death of a Succubus. It’s strange to have a title so early. For those of you who haven’t heard the series is going to finish at book 6, as of right now. I have the beginnings of a pre-qual and Mindy and Tommy are going to get a spin off. So there will be more Olie before I jump into the next series. I’ve also been re-editing book 1. 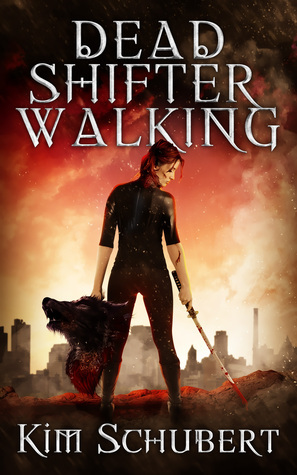 I have to say thank you to everyone who finished Dead Shiter Walking. I was editing it and wondering to myself how the hell I have any fans. My best guess is Olie is too fun of a character. Needless to say it’s getting a much needed over haul. If you are interested in beta reading book 2 of The Succubus Executioner, Demigod Down please email me at thekimschubert@gmail.com and I will send you a copy! Posted on January 26, 2015 Categories authorLeave a comment on Beta Readers!! So, it might be a bit overreaching, but I have decided while working on final edits of The Succubus Executioner Book 2, I will also be participating in National Novel Writing Month, also known as NaNoWriMo. Don’t worry, edits of Olivia’s journey will take precedent over the new novel, which I am still trying to narrow down. In the meantime if anyone would like to be a beta reader for book 2, please email me at thekimschubert@gmail.com. Or if you would like to try you own hand at writing a novel in November, sign up and friend me at http://nanowrimo.org/. Giveaway ends September 15, 2014. Posted on August 18, 2014 Categories authorLeave a comment on Goodreads.com Giveaway!